Restoration projects are crafted to improve natural watershed processes such as shading streams, accumulating spawning gravels, and providing winter slack water habitat for cutthroat trout and other native fishes. 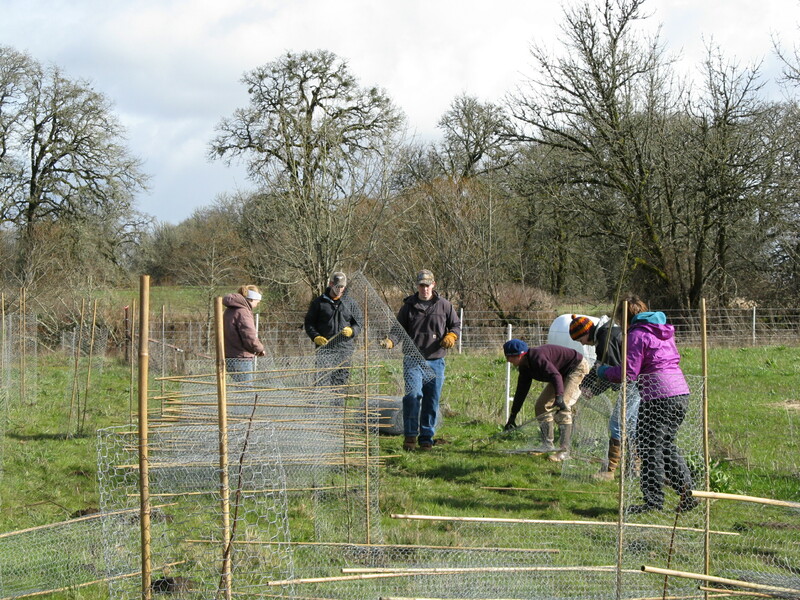 In prairie and oak habitats, restoration implies thinning or removal of Douglas firs or invasive English hawthorne, and replacement of pasture grasses with native grasses and forbs to provide habitat for rare Willamette butterflies such as Fender’s blue and Taylor’s checkerspot. These pages highlight various types of projects implemented with landowners.